Gymnasts must have previous gymnastics experience and exhibit the physical ability, the self-discipline, and the commitment to achieve success. Such individuals are selected by the program director and staff, and are invited to join the Team. Mini-Team, Pre-Team and Competitive Teams are available based on age and ability. 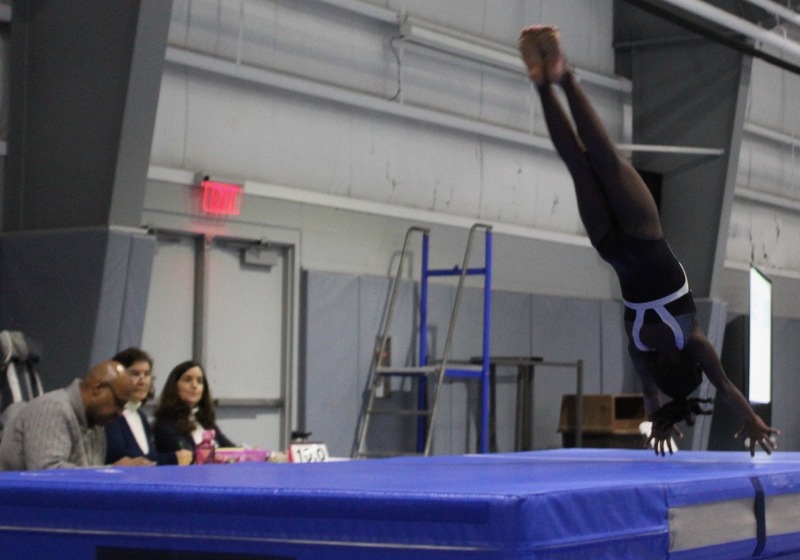 Team members follow the Rules of the USA Gymnastics Federation and compete in sanctioned meets including State, Regional and National Championships. 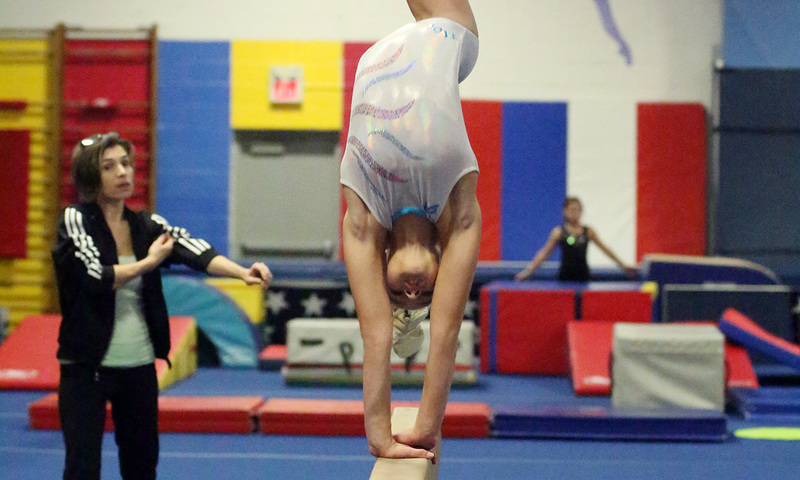 Future Stars Gymnastics Academy offers several Competitive Teams to fit a wide array of ages, skills, time commitments. Each team follows a similar set of progressions, which increase in difficulty as the athlete advances through each of the programs’ sequential levels. Placement on a team is by coach’s recommendation only. Gymnasts must have previous gymnastics experience and exhibit the physical ability, the self-discipline, and the commitment to achieve success. Speak with a Program Director to see which program may be right for your gymnast. Children ages 5-8 are recommended for this team by a coach. 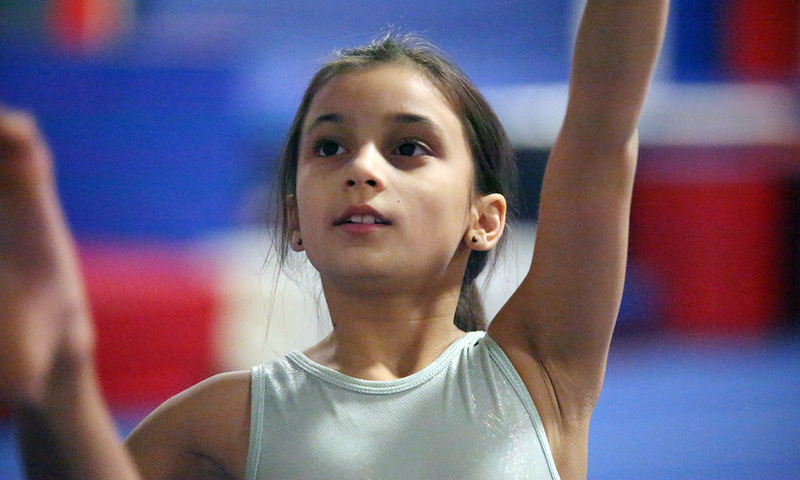 Gymnasts will practice 3 hours a week to train skills and routines to compete at the meets. 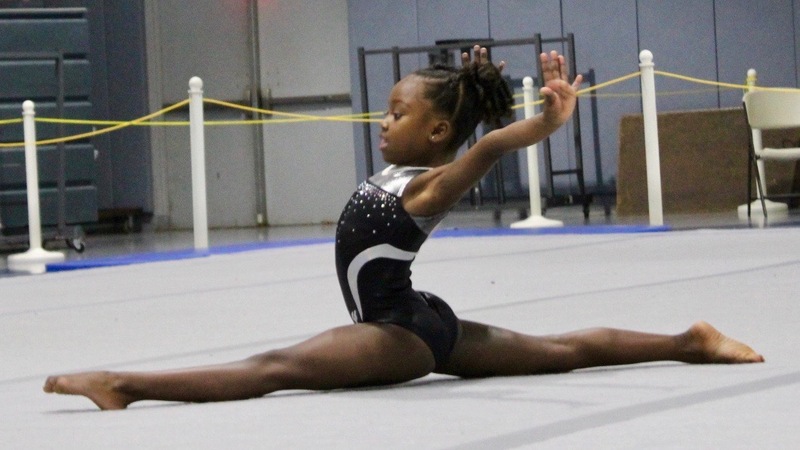 Gymnasts will strive to advance through Levels 1, 2 & 3 of Recreational class program, with the opportunity to earn a spot on the Junior Olympic Level 2 travel team. Children ages 8+ may try out for this pre-competitive program. At least intermediate class experience (Level 2-3) is recommended. Athletes will train 4-6 hours a week to increase their strength, flexibility, and skill level, as well as learn routines to compete at our in-house meets. 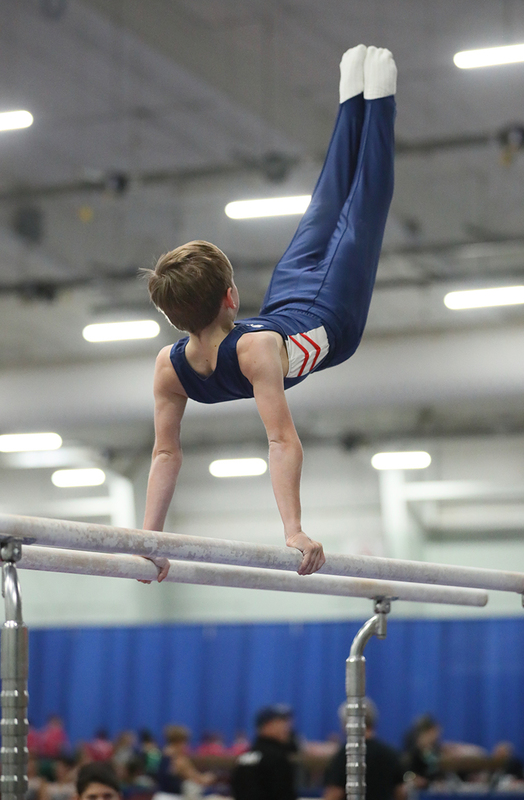 Gymnasts will strive to advance through the intermediate, and advanced level of this team, with the opportunity to earn a spot on the Xcel travel team. 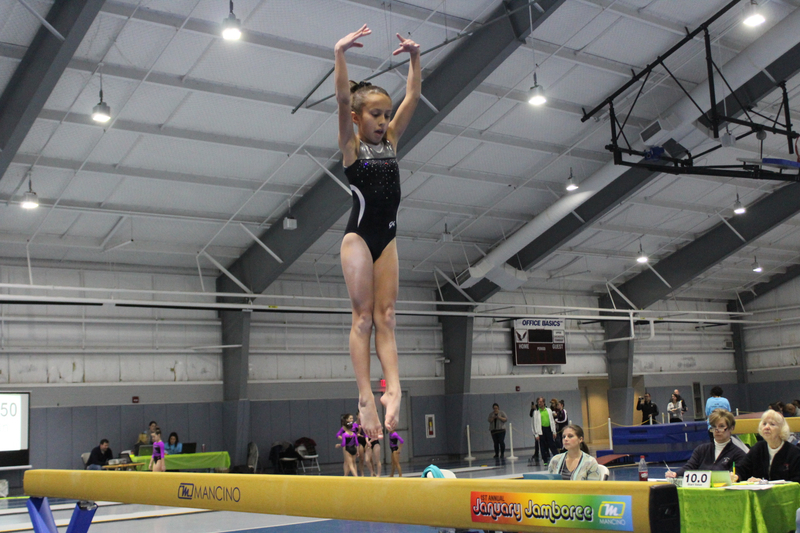 This USA Gymnastics team is perfect for girls ages 8+ looking for a traveling competitive program, with fewer practice hours, or who wish to train in a program with more flexible skill requirements. Athletes will train 6-9 hours/week to perfect skills and routines on all women’s events. All practice times are mandatory. Gymnasts must try-out to be placed on this team. The Xcel Program begins at the Silver level and advances through Gold, Platinum and Diamond. This highly competitive team trains 9-20 hours a week under the guidelines of the USA Gymnastics Junior Olympic program. Levels 1-5 make up the compulsory program, where young athletes learn the fundamental gymnastics progressions needed to advance in the optional program (Levels 6-10). Athletes begin traveling competitions at level 2. Placement on the JO team is by coach’s recommendation only.